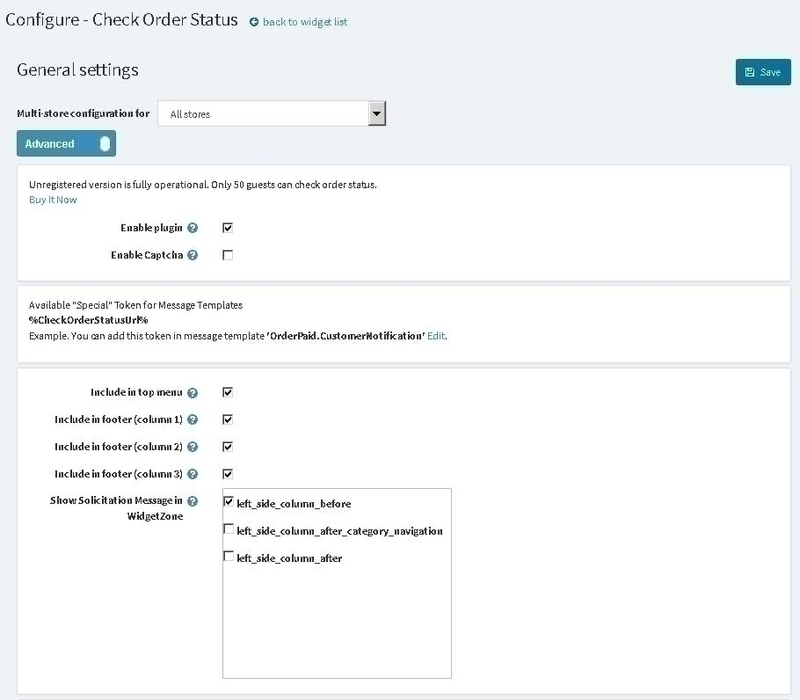 After installing you should open plugin configure page and select when you want to see new menu item. Open your site. You can see new menu items in the next places. 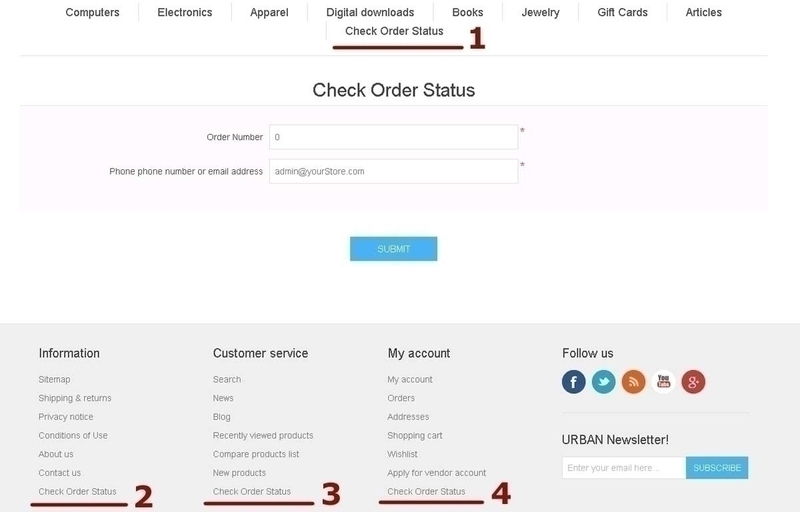 If customer provides correct information about his order he sees the next page. 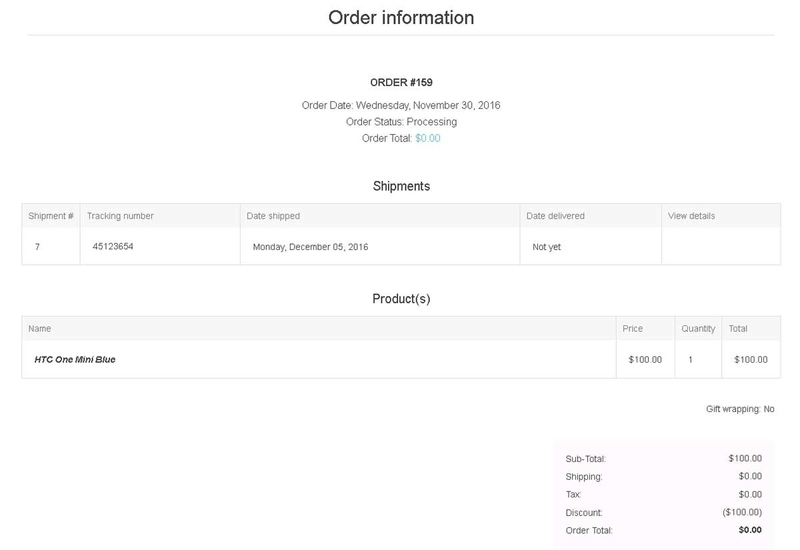 Customer's message with direct link for "Check Order Status".